1. 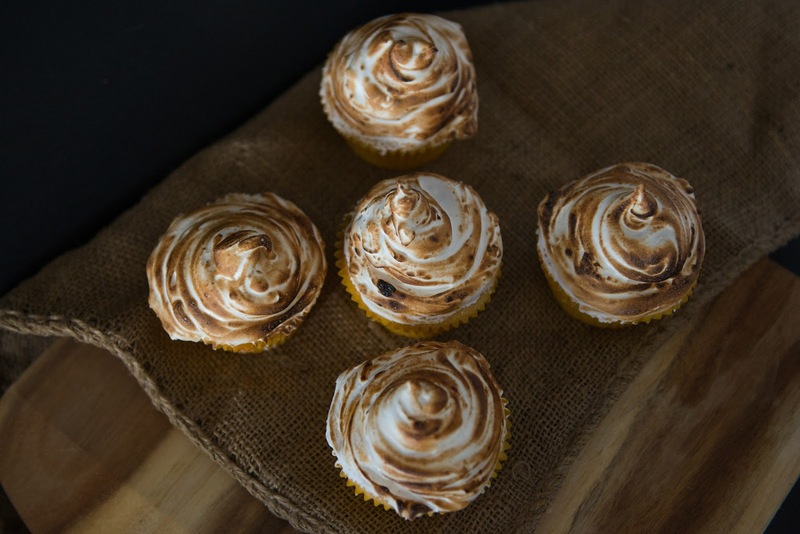 Preheat oven to 180 degrees celsius and line a 12x muffin tin tray with cupcake liners. 3. While the whisk is still rotating, slowly drop in the cubes of Butter until the dry mixture resembles bread crumbs. 4. 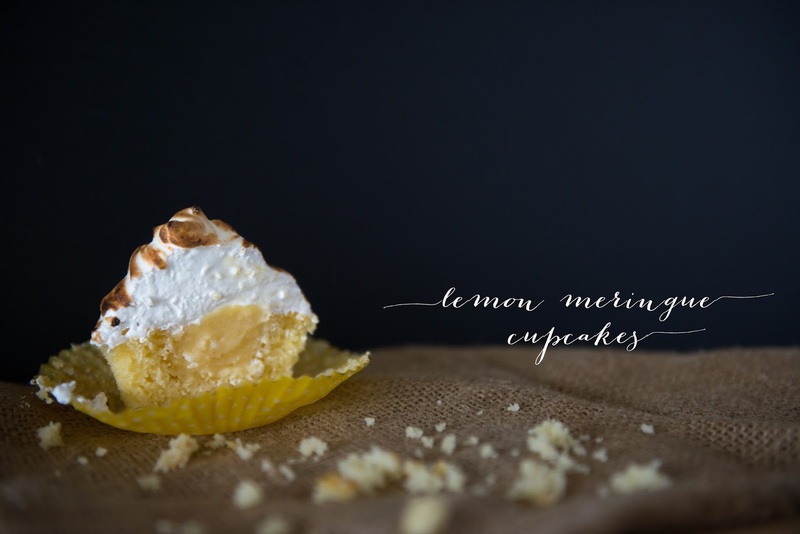 Whisk together the Lemon Zest, Milk and Eggs in a separate jug, then pour in half of this liquid into the crumb mixture, gently whisking until incorporated. 7. Place in the oven for 20 minutes or until a skewer poked in comes out clean. 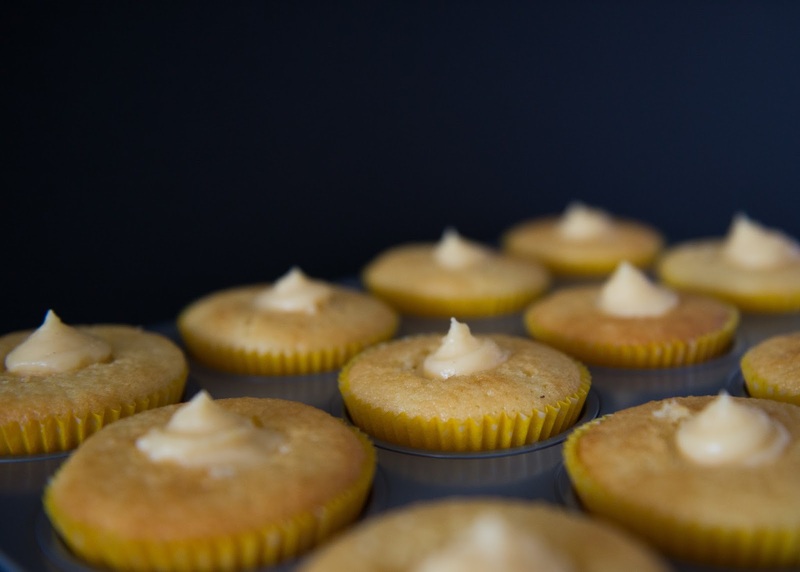 Set the baked cupcakes aside to cool in the tray on a cooling rack. 2. Pour the remaining milk and sugar into a small saucepan. Place on high heat, mixing until the sugar is dissolved, then whisk in the cornflour liquid mixture to this and reduce the heat. 4. Add lemon juice, zest & egg yolks into a bowl and whisk together. Pour in a little of the hot mixture (about 1/3 cup), whisk quickly to combine, then pour the new lemony mixture from the bowl back into the saucepan (this is to prevent a scrambled eggs situation!). 5. 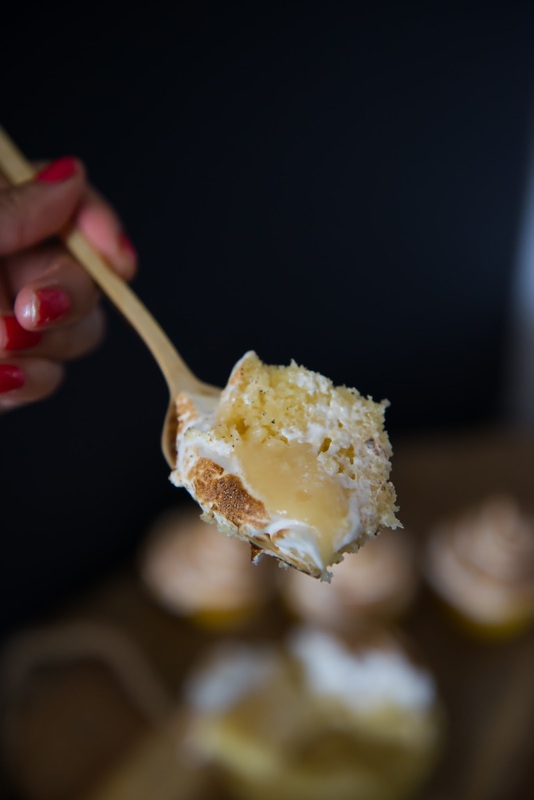 Continue whisking the curd mixture until it starts to thicken like a custard, take off the heat and leave to cool until ready for cupcakes assembly. 2. 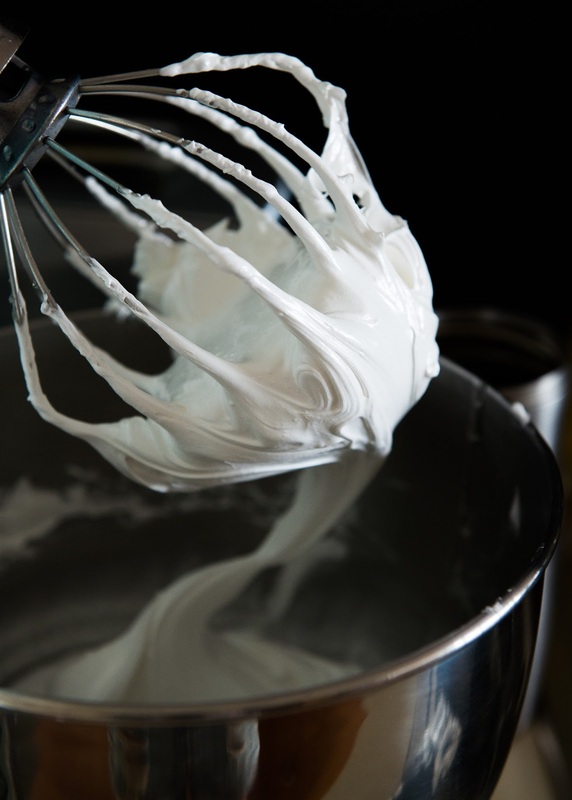 Meanwhile place the 3 egg whites and cream or tartar (or lemon juice) in an standing mixer bowl and whisk until soft peaks form. 3. Whilst the motor is running on the standing mixer, add the sugar syrup in a thin and steady stream, continue to whisk the mixture until the mixing bowl feels cool/lukewarm to the touch. 3. 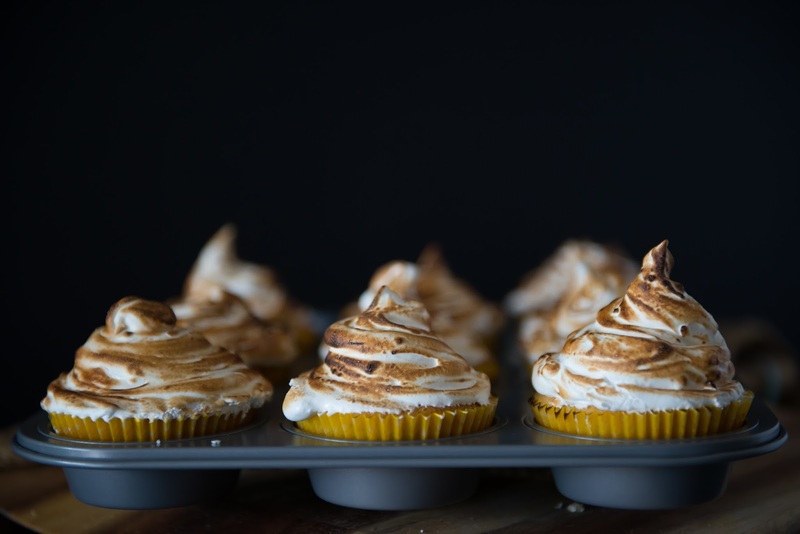 Top with the Italian Meringue, either smoothing the top or making swirls with a spoon or spatula to get as many rivets and crevices as you can. 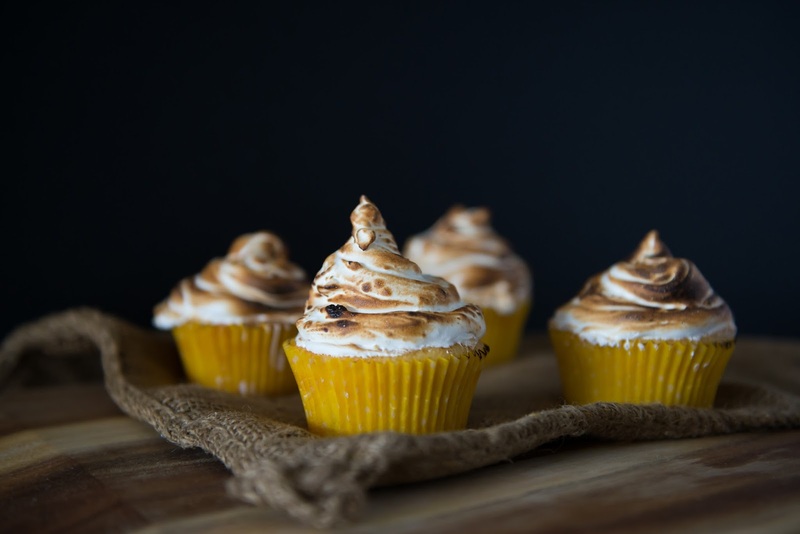 Using a blow torch, lightly touch the meringue with the flame all over until you etch on beautiful toasty brown colour on the meringue. 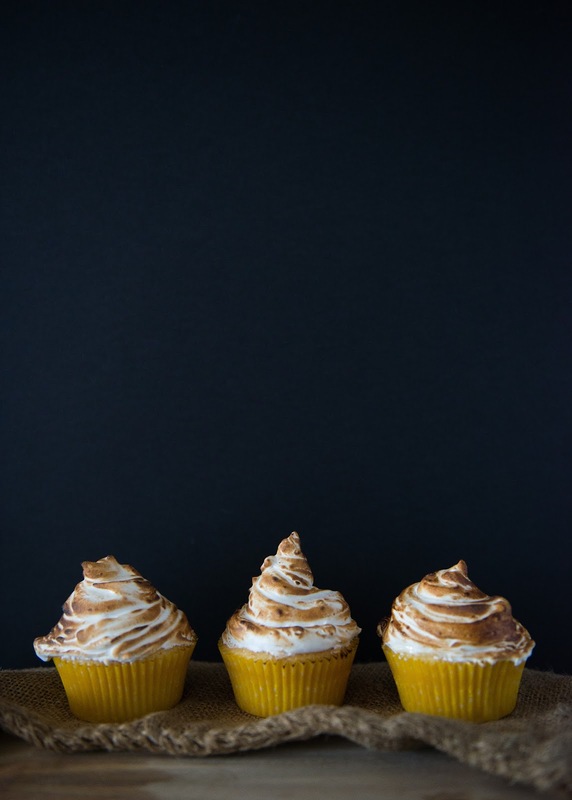 And there you have it, Lemon Meringue Cupcakes. 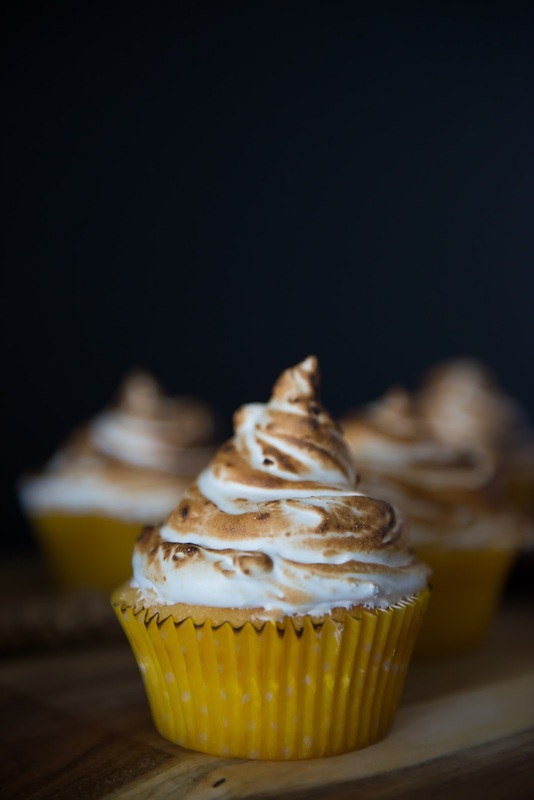 Making the meringue in the Italian Meringue way produces the most stable meringue I think. 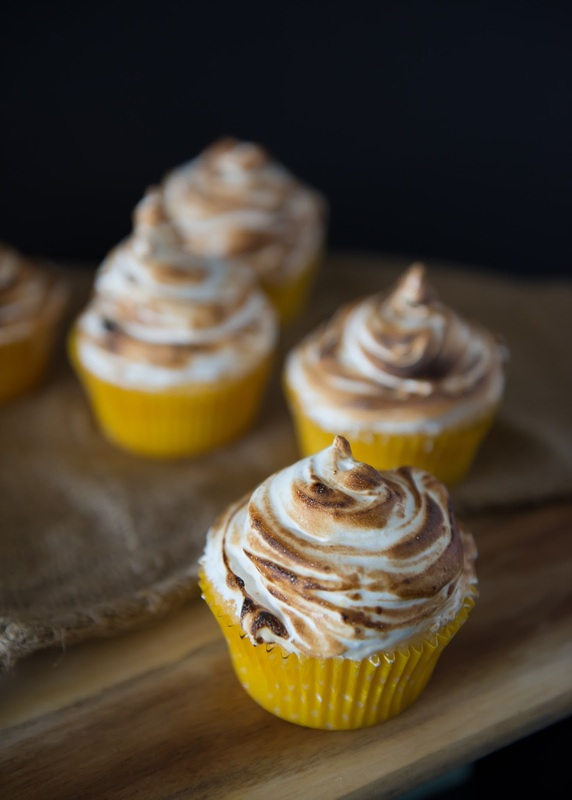 You can place the cupcakes in the fridge overnight if you like and they'll be ok to share with others the next day without the God awful sight of weeping meringue. I hope you guys have a brilliant weekend! I'm off to join a hen's do in Melbourne and I'm SO EXCITED!!! P.S. 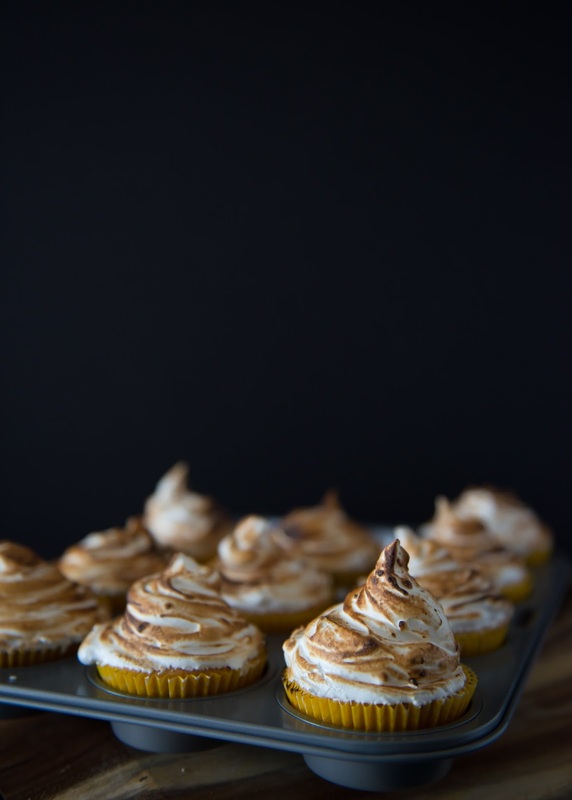 Remember this Raspberry & Lemon Meringue Tart ?